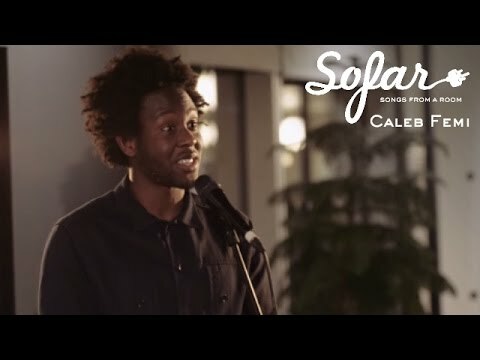 Caleb Femi is a poet, English teacher and a member of the SXWKS collective. His works are vivid and honest, delivered with an essence of musicality. Lately, Caleb has won the Roundhouse Poetry Slam and exhibited two cross-arts shows: Still Dreaming at the Edinburgh Fringe and There Is A Place at the Camden People’s Theatre. Caleb has led poetry workshops in schools in East and North London. As well as poetry, Caleb is a filmmaker whose inaugural documentary, What Did Love Taste Like In The 70s?, was released in August 2015. His follow up documentary Heartbreak & Grime will be released in 2016. Caleb has received commissions from Tate Modern, Barbican, Southbank Centre and Lift Festival as well as having been longlisted for the Young Poet Laureate London.